We’ve gotten a LOT of positive feedback over the years with 100,000 systems installed. See below for a sample of what other people have been saying about their experience with AIRTEAM. If you want to see a whole lot more, we would be happy to show you! Just give us a call! Superb technicians providing friendly service with a smile. Antonio is a SUPERB technician. He has been to our home numerous times to correct an issue that has been ongoing for some time. Every time he arrives, we are greeted with a smile and such friendliness. He never seems rushed or bothered by our questions or telephone calls. He is always attentive to details and thoroughly explains what he accomplished or what we can do at home to help alleviate the concerns. He is a gem; rarely, do we encounter such kind and compassionate workers these days. He deserves many accolades! Your technician was very helpful, courteous, and professional. One of your technicians came to my home yesterday afternoon to check on my air-conditioning balance. Your technician identified and corrected the problem quickly. He was very helpful, courteous, and professional. I did not get his name, but please thank him for the excellent customer service. It is getting harder to find good customer service. Thank you for sending technician Jose F. to fix the clog/drain problem with my Lennox A/C Airteam installed last August. We sincerely appreciate your prompt response to our problem. I’ve been very pleased with the performance of the 4 ton Maytag HVAC system Airteam installed last year. I am so happy with my new insulation! Airteam came out to my home yesterday and installed the expanding blown in insulation, the Owens Corning Pink Panther brand. My home is 41 years old & needed insulation so BAD! Perfect timing with this weather, and the crew was just wonderful! They were respectful of my home & cleaned up after the installation. 10/10!! AIRTEAM handled our numerous questions and request with extreme patience and professionalism. Mr. Curtis, I wanted to drop a note to express to you the exceptional attention & service we received by Steve T., Carlos, and Anthony. Steve handled our numerous questions and request with extreme patience and professionalism. Carlos and Anthony also extended the same patience and respect. Their entire team respected our home keeping everything clean. Anthony even came back to once again explain our new system. The replacement of 2 full A/C and furnace systems was a huge expenditure. We could have gone with one of our other quotes (in fact, one was less than yours) BUT went with your company and relied on our 20 year history with you already experienced. We are so glad we did! Thank you so much! Consistently courteous, efficient and knowledgeable service. Over the past two years your firm has provided service to my A/C & Heating System. Your service has been very good. Your pricing has been reasonable. I want to take this opportunity to call your attention to your Airteam Service Representative who has called on me at least three time since May 2, 2012. His name is Samuel. He has consistently provided courteous, efficient and knowledgeable service. He understands “Customer Service” as well as a knowledgeable base of his job performance on my Cooling & Heating System needs to keep them running efficiently. Samuel takes the time to explain the service invoice, as well as what I can do to keep my system running efficiently and prevent system failure, i.e. replace air filters on a regular basis. He has a pleasant easy going approach. In a “nut shell”, Samuel is an excellent representative of your firm, Airteam Heating & Cooling. Keep up the good work for your customers. 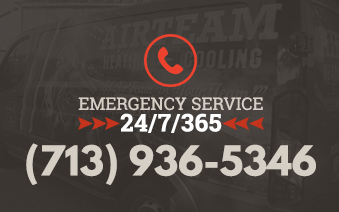 Rely on AIRTEAM for all your cooling comfort needs. Compliments to the Air Team “TEAM”….. We rely solely on Air Team for our AC/Heating install and maintenance requirements and have never been disappointed! Technicians are trustworthy, professional and exceptionally courteous. They are your value proposition! Why go elsewhere ? Thank you. Airteam provided the most comprehensive list of what was included in the offer. They took great care to make sure the solution was well documented. Very professional sales approach. Most sources tell you the best system means nothing without the right installation. Our installation went great. Airteam Service installed our original A/C and heating system when we built our home in 1994. We have always used them for semi-annual seasonal check-ups, and for occasional repairs. When it was time to replace the original equipment, we turned to Airteam. They showed up on time, installed the equipment in an efficient and professional manner, and billed us exactly the price they quoted to us. We highly recommend Airteam Service. We had a complete Lennox HVAC system installed to replace an outdated and failing system. The Airteam sales representatives were very informative, but they recommended a system that was too small for the square footage of the house. The system was installed and worked fine when the AC was running in the summer heat. But when a blue norther necessitated heat, the air handler was running constantly to keep the temperature at 74 degrees, delivering very little heat through the vents. A service tech investigated the trouble and found that the system was too small. An order was placed for an upgrade. Installers came in a timely manner and replaced the entire system at no charge. Everything works extremely well now. Apart from the inconvenience of needing to correct the sales mistake, Airteam is professional and upright in its business dealings. Trustworthiness in business is rare, and Airteam has it. We are happy that we chose Airteam to climatize our home.